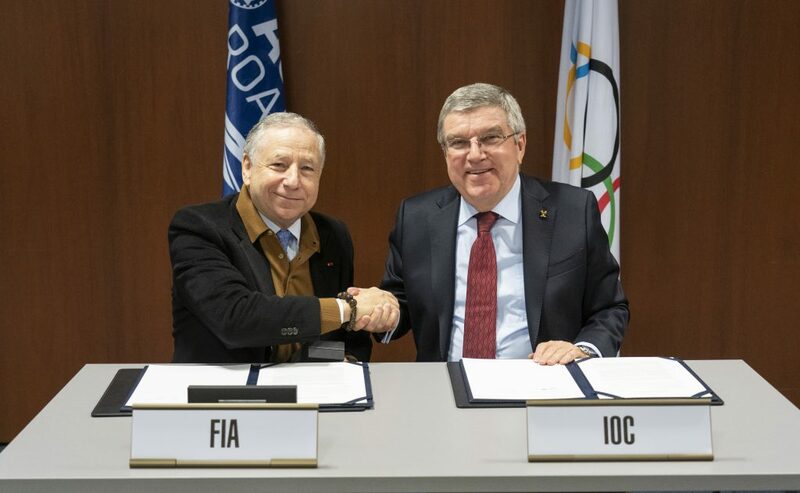 Fédération Internationale de l’Automobile (FIA) President Jean Todt and International Olympic Committee (IOC) President Thomas Bach signed an agreement to collaborate on motor sport and road safety content for the Olympic Channel today, 19 January, in Lausanne, Switzerland. FIA becomes the 78th federation partner of the Olympic Channel. The agreement expands upon the existing collaboration between the FIA and the IOC, and provides an opportunity for motor sport and road safety content to be distributed on the Olympic Channel including original content through the activities of the FIA, motor sport athletes and road safety ambassadors from around the world.